HANDS proudly welcomes one of the hottest acts on the current industrial techno circuit. 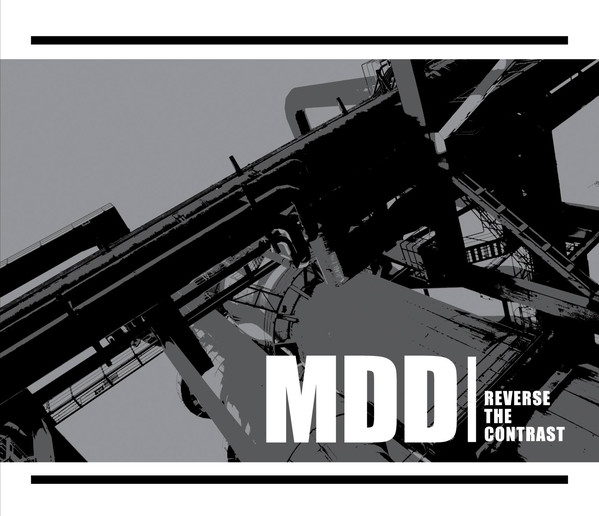 The Toronto based duo MDD is the alliance of techno producers Measure Divide and Dolgener, who pursue a distinct passion together: The dark and dirty and intensely rhythmic Reverse the Contrast is a collection of tracks that defines their diversity and ability to express their aggressive, distorted, and edgy sound reflecting on btoday's maddening world. Discover old and new school industrial influences in a very unique combination, laid out with highly skilled production in ten tracks around the 6-minute mark, food for thought and pure physical stimulus at the same time, contemporary club grub galore. MDD succeed in nailing that objective, with an album that oozes euphoria and authenticity  with an innovative combination of sounds: From their techno heritage they take the rhythmic clue, a relentless, capturing backbone laced with substantial groove. And at the same time, they pay due respect to industrial traditions that by far precede the crossover wave of recent years: Tracks like Crushed, Underlight or Valium focus on unadulterated rhythms and noise chops with big washes of distortion; Breath, Dives and Submission (featuring AADJA) feature actual, albeit heavily treated vocals, and addictive melody hooks, thus even hinting at the times when tracks were actual songs. But theres reconciliation at hand - Grind or Second Injection reveal their techno heritage through the whipping snare sounds and thumpy kick drums. And then its all in the same way head-nodding, stomping goodness. Contrast and reversal, past and present, MDD play with seeming antipodes and achieve Something ultimately enjoyable!